My name is Kellie Smedley, and I am the Educational Support Leader for Bella Grace. 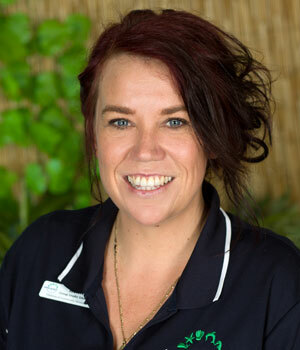 I was lucky to begin my journey in early childhood education after I left high school in 2001 working my way from a cert 3 trainee and then an apprentice studying my diploma before I joined the Bella Grace team at Beerwah in 2008. In 2010 I was fortunate enough to travel first Australia, then Europe and finally New Zealand where I worked in many different child related industries. Being a country girl from Beerwah, this was a huge eye opener as I was immersed in local and foreign cultures learning different ways to support early childhood development. Since arriving back in Australia and settling in my home town, I have felt an overwhelming desire to get back to my roots, share my knowledge and educate children using our wonderful country and environments as the basis to their learning. My passion and dedication to deliver high quality programs that open children’s eyes to many diverse learning opportunities has lead me to my new role within Bella grace. I am currently fortunate enough to work closely with educators and management at all 5 centres to support children with inspiring quality programs and practices that embrace the Bella Grace philosophy. I also work 2 days a week in the 2-3yo age group at Beerwah delivering a hands on approach while driving exceeding educational programs and meaningful environments. I am excited for this new adventure, so please feel free to approach me any time during my visits to the Bella Grace centres.